The Purcellville Cannons (11-18) sent three players to the Valley League All-Star game on Sunday night at James Madisons University's Veterans Memorial Park in Harrisonburg; reliever Tyler Yancey (Northeastern State) and outfielders Ray Hernandez (Alabama State) and DeAndre Amion (Alabama State). Despite the VBL North All Stars falling to the South in the game, 10-4, the three members from Loudoun County showed off their skills and received accolades to prove it. Hernandez, who leads the Cannons in home runs, RBI, doubles, hits and runs scored entering the All-Star festivities, knocked a 2-run double to put the North on the board in the bottom of the third inning. He would add a leadoff single in the fifth and finished the game 2-4, earning MVP Honors from the All Stars of the Northern division. Amion, who broke a slump with a bases-clearing, 3-run double in the Cannons' previous game -- a 12-3 win over Covington on Saturday-- was hitless in his first two trips, but looped a 1-out single in the ninth inning, the final hit of the night for the North. Yancey, who has been one of the more reliable arms for Cannons' manager Brett Fuller this season with an ERA of 2.86 in 11 appearances, impressed in his inning on the mound, tossing a 1-2-3 scoreless fifth frame. With the 2-day All-Star break concluded, the Cannons will now start their final stretch of the season when they take a trip to Jim Barnett Park to take on the Winchester Royals (16-13) on Tuesday. With 13 games remaining, Purcellville currently sits tied with the New Market Rebels (12-19) for the 4th and final playoff spot in the North division. If the Cannons want to make their inaugural season in Purcellville a playoff-bound campaign, they will need to fix their road woes that have haunted them all year. 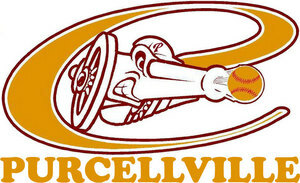 Purcellville has posted a mark of just 2 wins and 12 losses this season in away affairs and will start their final run to the postseason with a trip to Harrisonburg to take on the division-leading Turks on Wednesday after taking on the Royals. 7 of the team's final 13 contests are on the road, with 8 of the final games to end the season will be against team's that currently sit with a record of over .500. Southpaw starter Pat Doudican gets the nod for the Cannons against the Royals. Doudican is 1-4 on the year with a 4.56 ERA. Doudican will hope to shake off his last outing when he allowed a season-high five earned runs over 3 1/3 innings in an 11-6 loss to Staunton on June 29th.